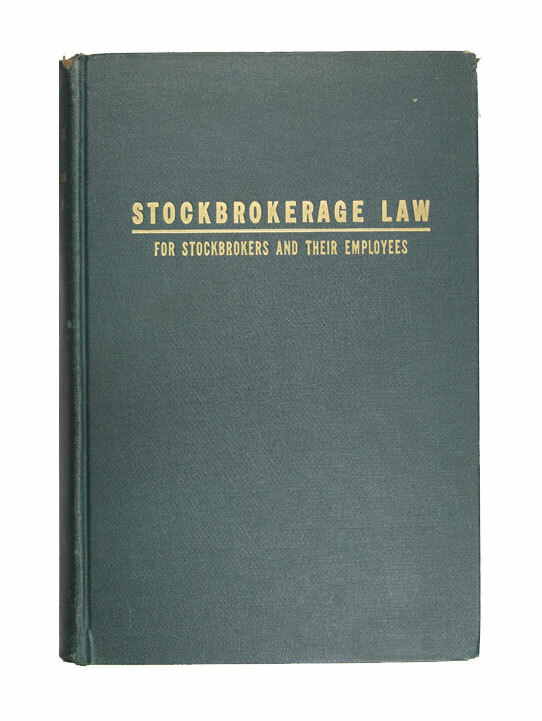 Stockbrokerage Law For Stockbrokers And Their Employees - IFA Vintage and Current Book Library - Index Fund Advisors, Inc. Author: Walter H. Moses, A.B., LL.B. Notes: Over 300 pages large hardcover book - 6 1/2"x9 1/4". Early books about brokers and brokerage houses are scarce.